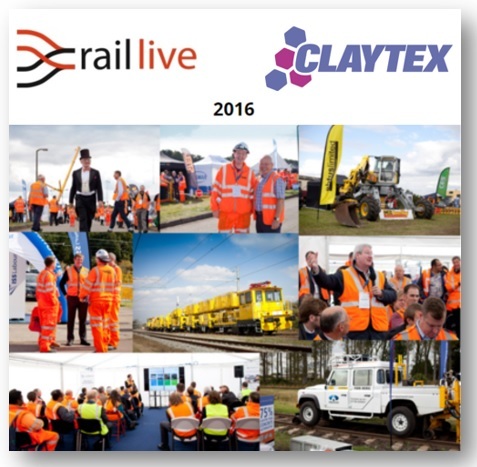 Claytex will exhibit at the Rail Live 2016 organised by the Rail Alliance organisation. At the 5th year of this highly anticipated show, the event will showcase the best range of products and services that meet the increasingly challenging needs of the rail sector with particular emphasis on best practice, ingenuity and the application of innovation. At the RailLive 2016 we will introduce solutions for model-based systems-engineering. The solutions we provide are used extensively in the Aerospace, Automotive, Energy and Motorsport industries including in Formula 1, NASCAR and IndyCar where they are industry standards, representing the state of the art. These technologies can potentially deliver savings in development time, testing overhead and improve quality. Furthermore, the tools provide the framework to achieve the programme management & interface/systems-integration goals alluded to by the McNulty report. The development and generation of safety critical control software using CONTROLBUILD. All these tools can be used together to provide a single authoritative model of the system, tracing information through the various tools and stages of development, providing full accountability, easy impact assessment & automated certification/reporting. RATP is the major operator of Parisian public transports. They chose ControlBuild to develop a simulation environment dedicated to system qualification and integration. Alstom have used Reqtify to enable them to deploy a requirements engineering approach across all their projects.